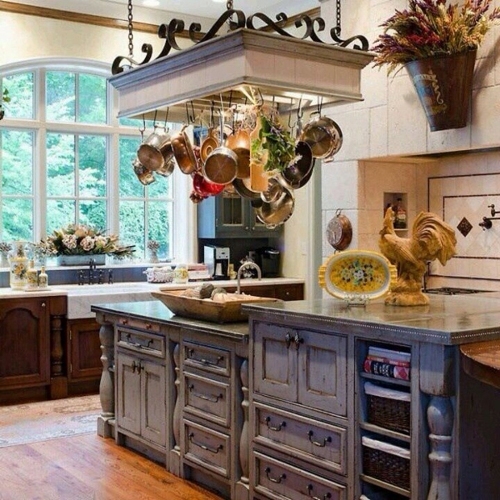 The romantic properties will help you to evoke the French country kitchen mood. You just have to shop the items which create the airy flair. Decorate the wall with the interesting white ceramic china or dishes. You can have an open shelved cabinet to display all collections of stylish china that you have. The window looks nice to decorate with the white sheer curtain. You can use the romantic colors such as white, ivory, lavender or salmon pink to paint the wall. The rustic simplicity will evoke the French country feeling. 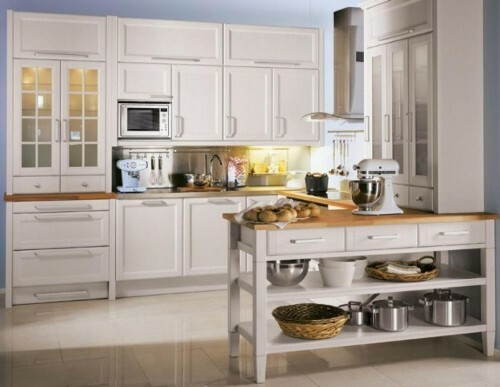 You can make it look simple and chic by having the kitchen cabinet in distressed white color. It reminds you with classic rustic décor. Or you can leave the kitchen cabinet, island and furniture bare. You do not have to buy the finished one to keep the authenticity of the French country kitchen flair. 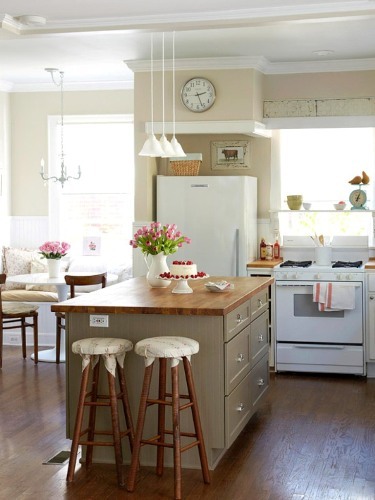 If you want to update the cooking room, don’t forget to check the tips on how to decorate above kitchen cabinet. The lighting in the French country kitchen should be selected carefully. You can choose the wrought iron chandelier. It can be made of metal material in gold, antique white or silver tone. The rustic floor will never complete if you do not spread any area rug. You can buy the soft area rug which keeps the feet comfortable. If you have more money, you can pick the animal fur inspired rug. If you want the printed one, you can choose the floral, southwestern or moose printed area rug. 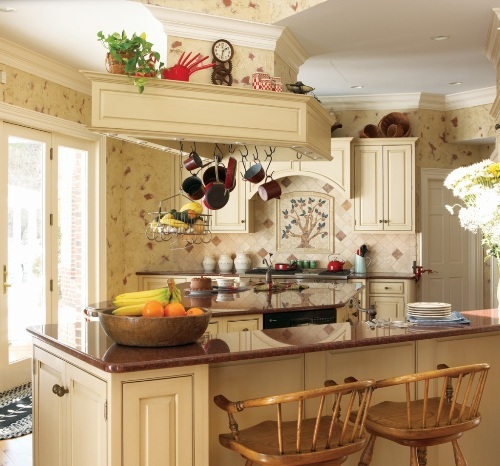 The last thing to consider is the floral pattern for the French country kitchen. There are many ways to infuse the pattern. You can add it as the wallpaper to decorate the accent wall. Or you can cover the kitchen table with floral table top. 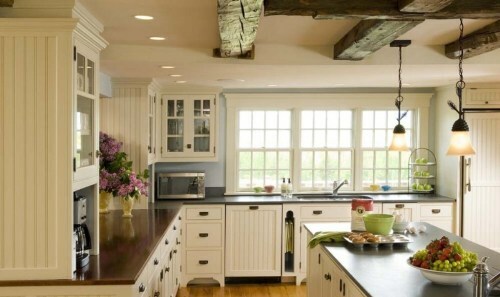 Do you have any more tips on how to decorate French country kitchen?